Moss: the watery energy that inhabits damp areas and which plants fill according to their nature. This act of filling is called life. The lichen below is moss that coexists with algae. 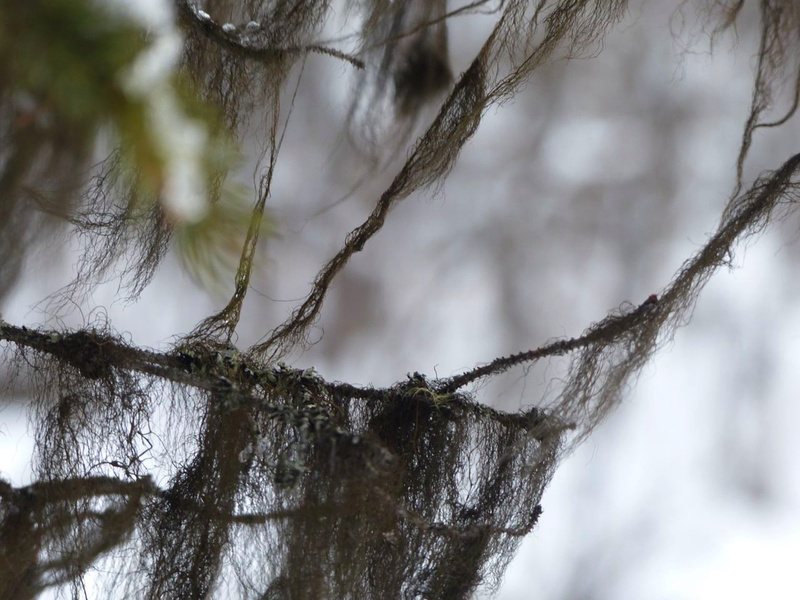 Note how both the spruce twig and the lichen inhabit the watery energy of the air, quite differently. Note as well how similar they are, as their own energies (greyness and stringiness) meet within the energy of dampness as well.